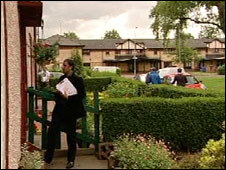 Three more parties have launched their campaigns for the Glasgow East Westminster by-election. Glasgow Baillieston MSP Margaret Curran said she would win the seat for Labour and "take the party forward". Ian Robertson kick-started the Liberal Democrats' campaign by accusing Labour of years of neglect in the east end. Scottish Socialist Party (SSP) candidate Frances Curran called for a "massive redistribution of wealth" to tackle the problems in Glasgow East. 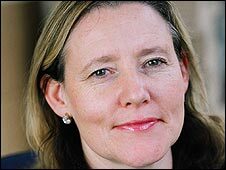 Margaret Curran, 49, is currently Labour's health and wellbeing spokeswoman at Holyrood, having been first elected in 1999 and returned in 2003 and 2007. She has stated that if she wins Glasgow East she will continue as an MSP and MP for the immediate future. Maths teacher Mr Robertson, 30, was selected to fight the Glasgow East seat for the Liberal Democrats last week. He launched his campaign in Shettleston with the party's acting Scottish leader, Michael Moore MP. Frances Curran, 47, got the SSP campaign underway in Glasgow's Easterhouse area with a call for higher taxes on the wealthy. "We need to tax the wealthy fat cats and profiteering companies who rake in billions in profits as they jack up prices for gas, electricity, food, petrol and other essentials," she said. "To tackle the scandal of low pay the minimum wage should be raised immediately to £8 an hour and demands by thousands of workers, opposed by Gordon Brown, for pay justice should be supported. "Instead of pampering the rich as favoured by Labour and the SNP, the SSP demands real common wealth for working people with a programme of investment in public services. "The Labour Party, which has taken east enders for granted for years, used to support such policies and the SSP will be putting these socialist ideas to the voters." The 24 July by-election was triggered by Labour MP David Marshall's resignation on health grounds. Other candidates declared include Glasgow councillor John Mason for the SNP, university worker Davena Rankin for the Conservatives, retired GP Eileen Duke for the Scottish Greens and council worker Tricia McLeish for Solidarity.